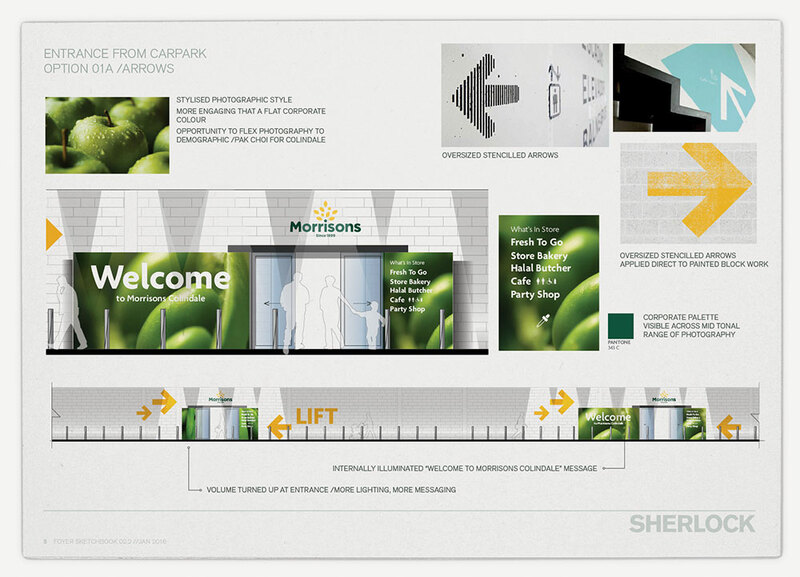 We were asked to help Morrisons create an engaging customer journey from the car park, through the foyer and around the store at its new Colindale store, in north London. 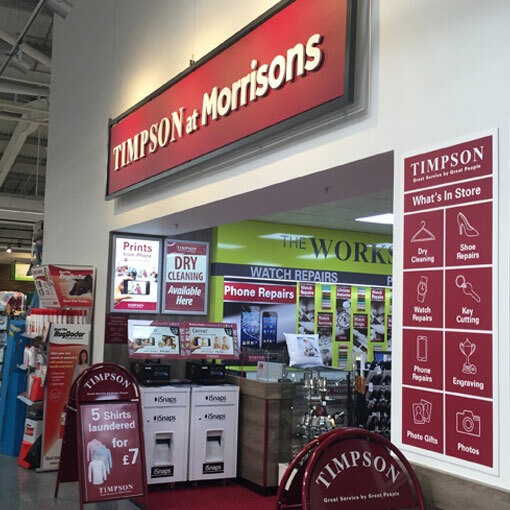 The project encompassed perimeter signage, in-store comms and navigation, the creation of a fun, vibrant and playful Party Shop store-within-a-store and signage for a Timpson in-store concession. 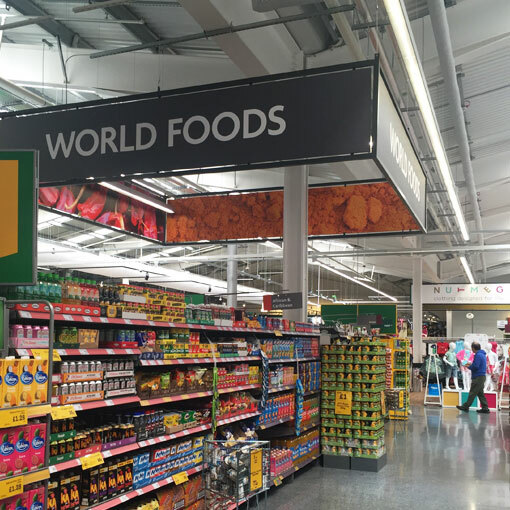 Our work on Colindale was intended to inform the design of future stores. 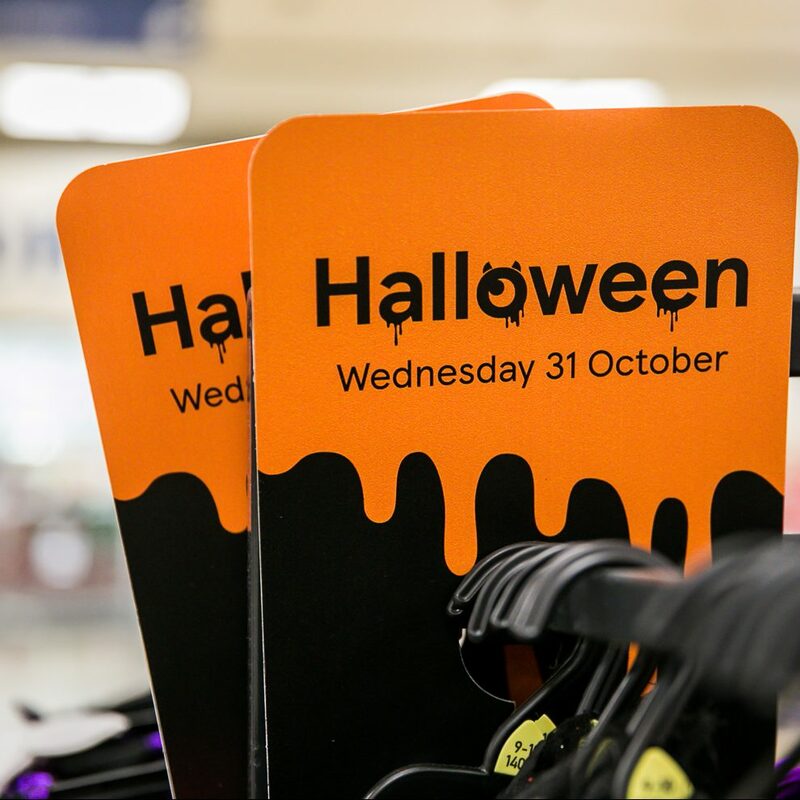 As such, it had to be scalable and able to work across different store formats. 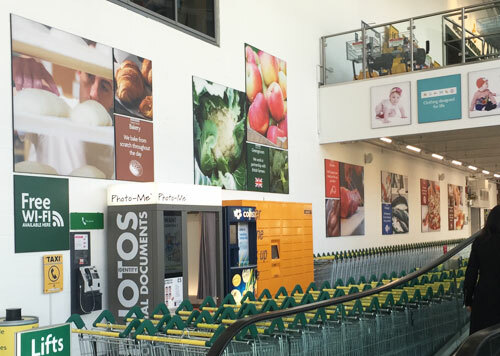 We needed to create an opportunity for Morrisons to talk to customers a little more about what makes Morrisons different to competing grocers. 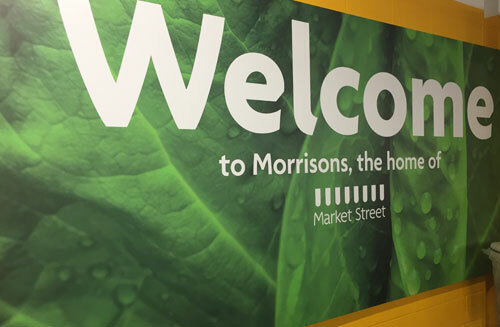 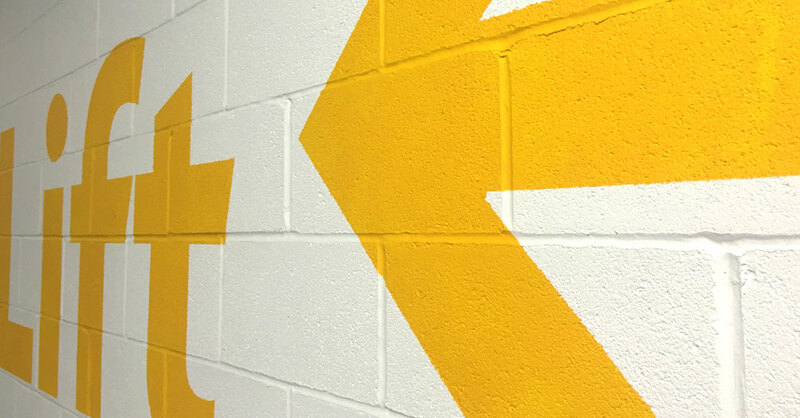 The visual brand language needed to be instantly recognisable as Morrisons whilst clear and straightforward wayfinding was critical in helping the customer while in transition from car to store. 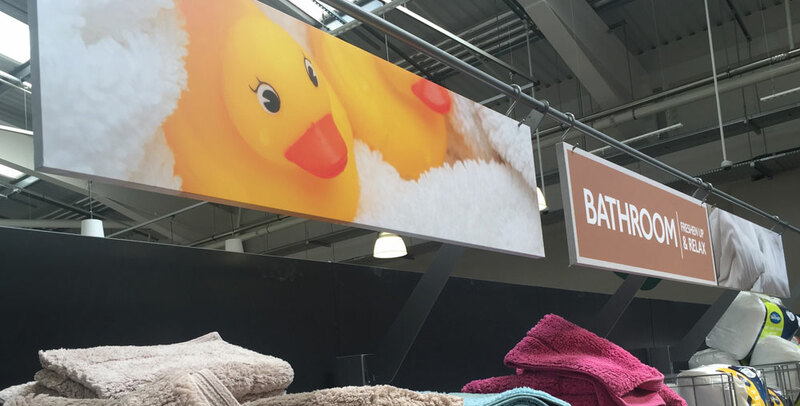 We reviewed best in class design across the UK, Europe, Asia and the US, impregnating it with Morrisons’ DNA, to come up with a fresh, modern solution. 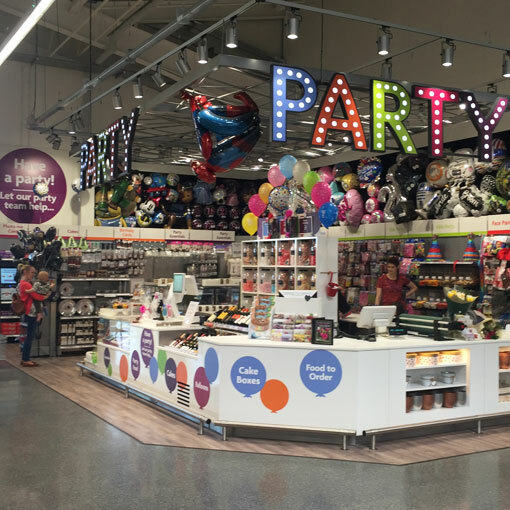 Using the concept of ‘moth to the flame’, we turned up the volume at the store entrances through ‘welcome’ signage and the use of bold, engaging photography which contained the recognisable brand colour palette. 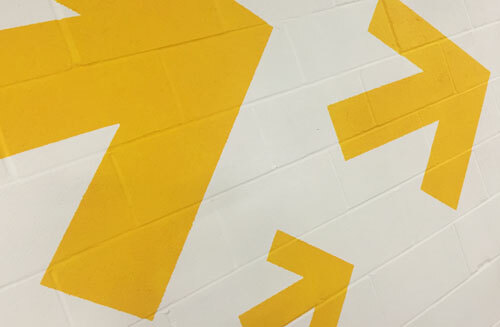 We made the most of the opportunity for brand building in the foyer by creating a collection of supersized murals with the aim of bringing a little warmth and personality to the threshold and transitional areas. 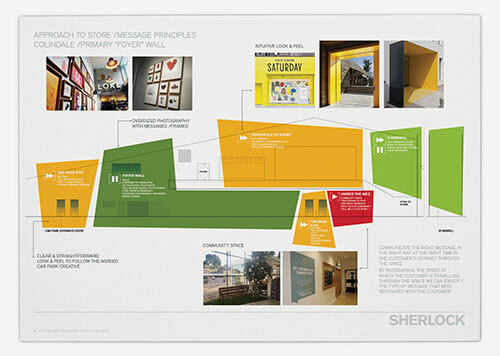 The photography palette played a particularly important part in how we communicated to customers at Colindale. 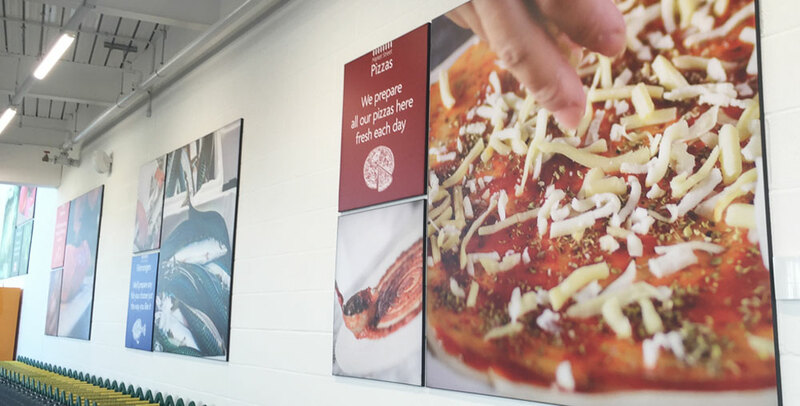 We sourced photography to support the themes of ‘foodmakers’, ‘shopkeepers’, ‘fresh food’ and ‘great value’, carefully selecting photography which celebrated real food and real people, grouping images to create a narrative.